Our Highly Skilled Professionals are Awaiting Your Awesome Project! 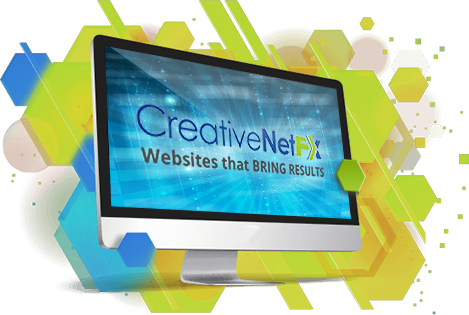 Creative Net FX was established in the year 2000, at the beginning of the new millennium. Headquartered in Bluffton, South Carolina, we offer cutting-edge online solutions for Hilton Head Island, Bluffton, Savannah, and beyond! We are passionate about creating web sites which are not only attractive and flexible, they are also simple for anyone to use. We are a talented team of professionals skilled in web design, graphic design, and digital marketing strategies. We understand that everyone isn't tech savvy, so we'll keep the geeky talk to a minimum. When you hire Creative Net FX for your web site or digital marketing, you are not only hiring a professional team of internet experts, you are also getting a team which cares about your company and its success. We will remain proactive and constantly explore new methods for improving your company's overall performance. Your success is our success, and we will be doing everything in our power to ensure the success of your business and the expansion of your online presence. Many of our clients are not exactly sure of what they want or need when they come to us. That's not a problem. We will be here to help and guide you through the entire process of building and marketing your web site, from inception to success. Bring your great ideas, and we will help to make them even better with our extensive online experience. All of our clients quickly learn that we practically live on the internet and are always working to stay on top of the newest technology and what works best. You don't need to search any further for a full service web design and digital marketing company. We have the experience, knowledge, and creativity to take your business to the next level in the online world. We are excited to learn about your business or project and we can't wait to devise a perfect online solution for your company. Say Hello! - We'd love to hear from you.